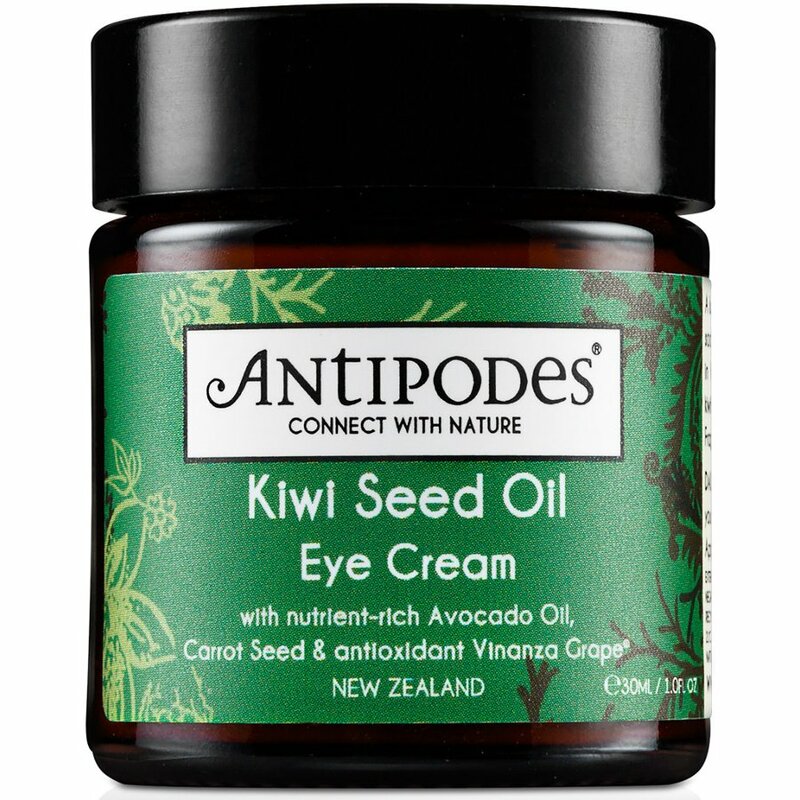 An ultra-rich yet light eye cream for a soothing and cooling treatment that uses Vitamin C from New Zealand kiwifruit seed to rescue damaged tissue in the delicate eye area. With aloe gel, carrot seed oil, jojoba oil and 100% pure avocado oil which is scientifically proven to stimulate synthesis of collagen production in human cells. Aqua (water), Persea gratissima (avocado oil), Glycerin (vegetable), Cetearyl alcohol (coconut derived), Cetearyl wheat straw glycosides, Steraic acid (vegetable), Glyceryl stearate, Tocopherol acetate (vitamin e), Daucus carota sativa (carrot oil), Kiwiseed oil (actinidia chinensis), Borage oil (borago officinalis), Citrus grandis (grapefruit seed extract), sodium benzoate, calcium gluconate, vitis vinifera (Vinanza grapeseed extract). 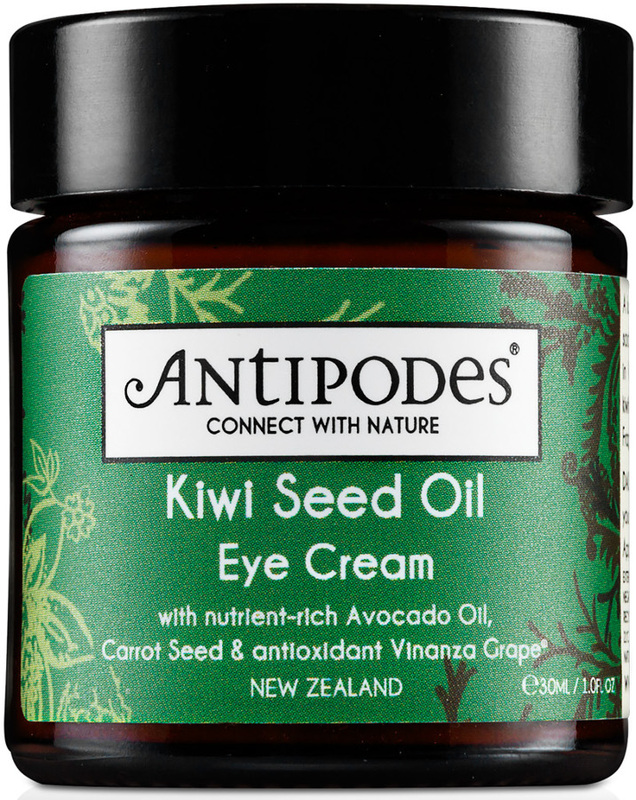 The Antipodes Kiwi Seed Oil Eye Cream - 30ml product ethics are indicated below. To learn more about these product ethics and to see related products, follow the links below. This product is amazing. I use it in the morning and in the night and after just 2 days I sow good results. My skin is more soft and the colour is better, as all my face. Before was more dark. Skin was dry and now is very soft and elastic. Good value for the money and you just need a little bit for use. Lovely texture, feels like a premium product and certainly acts like one - no puffiness when used around the eye, but highly moisturising and definitely improves the skin from first use. Q: Is this product vegan? 1 out of 1 found this question and answer helpful. Antipodes love nature. This premium green beauty brand captures the essence of New Zealand’s most powerful and nourishing botanicals to create products that are scientifically and clinically shown to help promote youthful skin. The organic skincare range includes several products that are dermatologically approved for sensitive skin. Many of Antipodes products are certified organic by AsureQuality Ltd, an independent government body and the leading provider of food safety and biosecurity services in the southern hemisphere. Products are all 98-100% natural and made with Antipodes unwavering commitment to the natural environment. Ingredients used have full traceability, from sustainably cultivated plants to production and recyclable packaging and products are all approved by the UK Vegetarian Society.